I am really pleased to be here today with you all for the launching ceremony of CoolThink@JC. And thanks to the welcome alliance among three outstanding tertiary institutions - the Education University and City University from Hong Kong, together with MIT, from Cambridge, Massachusetts, the place where I spent a few unforgettable years. These higher institutes of learning are all united in the goal of inspiring students here in Hong Kong, bringing digital creativity into their lives and, in so doing, priming them - and priming Hong Kong - for tomorrow's global economy. We have been able to secure MIT's involvement, thanks to the Jockey Club, which reached out to Professor Hal Abelson of the MIT Computer Science and Engineering Department. Hal is with us today. He is the global leader in educational technology, and in making hardware and software speak to students in a language that they are familiar with. He was instrumental in the development of App Inventor, which transforms the arcane language of text-based coding into visual, drag-and-drop building blocks. That gives beginners the ability to create programs and apps that work in about the same time it takes us to post an update on Facebook. The good news is that the Jockey Club's CoolThink programme will use App Inventor to help students discover the magic of coding. I wish I had such a cool helper when I was using Fortran and Basic to write programs to facilitate my work back in those "prehistoric" days. Our Education Bureau will ensure that the curriculum and supporting teaching materials created by MIT and our Education University will respond to the specific needs of the schools, and students, involved. And CityU will be recruiting and training university students to serve as teaching assistants - and to organise events that help parents understand the power of coding as well. In moving towards that goal, I have allocated some HK$18 billion in my 2016/17 Budget to support the development and application of innovative technology. You will be aware that MIT opened its first overseas Innovation Node here just a few months ago. 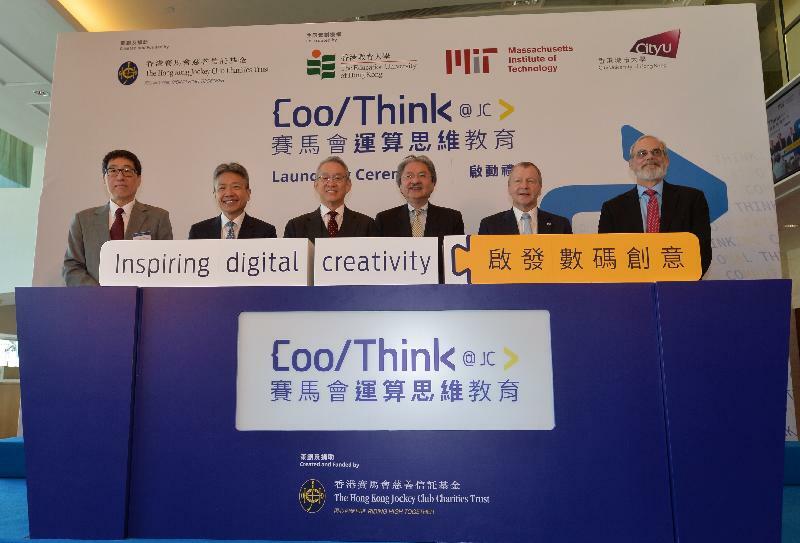 So I must say, it is encouraging indeed to see MIT here again today, expanding its educational ties to Hong Kong, bringing its trailblazing expertise to our primary-school students, to the leaders and innovators, coders and creators, of tomorrow. I am grateful to our own celebrated institutions, the City University and the Education University, for their role in this groundbreaking programme. 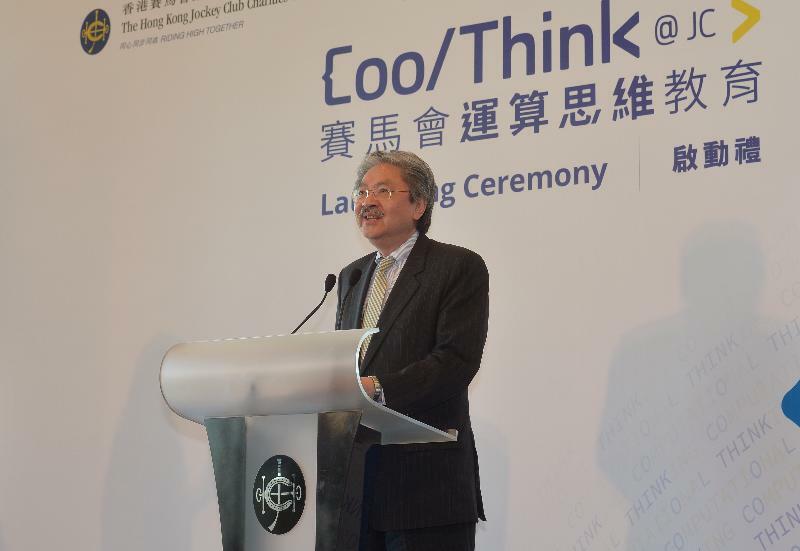 And to the Hong Kong Jockey Club Charities Trust for bringing CoolThink@JC to smart life. Thank you very much. Have a great day.